1. Ice Cream Cone Costume Tutorial at BHG – Create this sweet ice cream cone costume for your gal with her favorite toppings and ice cream! 2. DIY Owl Halloween Costume by Martin Family Times – Looking for a little owl costume? Grab some felt and get started on those adorable feathers! 3. DIY Yarn Wig Tutorial for Halloween Costume by U Create – Becky shows us how easy it is to make a yarn wig! She made it for a Lalaloopsy costume, but you could use this concept with many other costumes like Raggedy Anne! 4. Princess Mummy Costume Tutorial by The Polkadot Chair- I love this costume by Melissa and how she fancies up the traditional mummy into a princess! 5. Tutu Fairy Costume Tutorial by Being Brook – does your little gal want to be a fairy for Halloween? Don’t miss this beautiful costume! I’m crazy about those color choices, too! 6. DIY Minnie Mouse Halloween Costume by Schooltime Snippets – Use this tutorial for a simple Minnie costume for Halloween or those fun Disney trips! 7. Monarch Butterfly Costume Tutorial by iCandy Handmade – Create those beautiful wings, add a flapper dress and you have the coolest butterfly costume you ever did see! 8. Strawberry Fairy Costume Tutorial by Six Sisters Stuff – Save money on those expensive PB costumes and create your own like this fun strawberry fairy! 9. DIY Peacock Halloween Costume at Tip Junkie – this peacock costume is filled with beautiful feathers and the addition of a li’l mask gives it that extra touch! Do you have any other ideas that the little gal in your life would like to be for Halloween?! Feel free to share your ideas below in the comments! Looking for costume tutorials for boys? 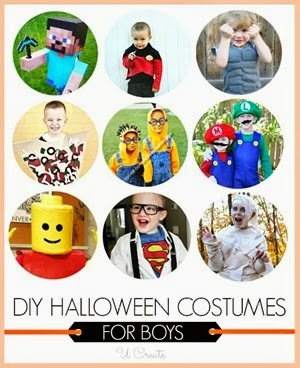 Check out these DIY Halloween Costumes for Boys! 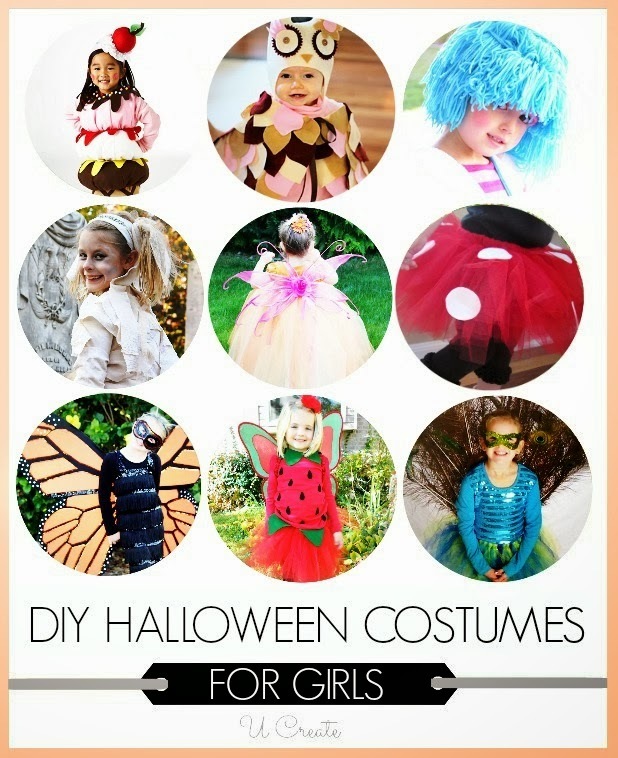 Next Post: DIY Princess Costumes – for Halloween or Disney Trips!